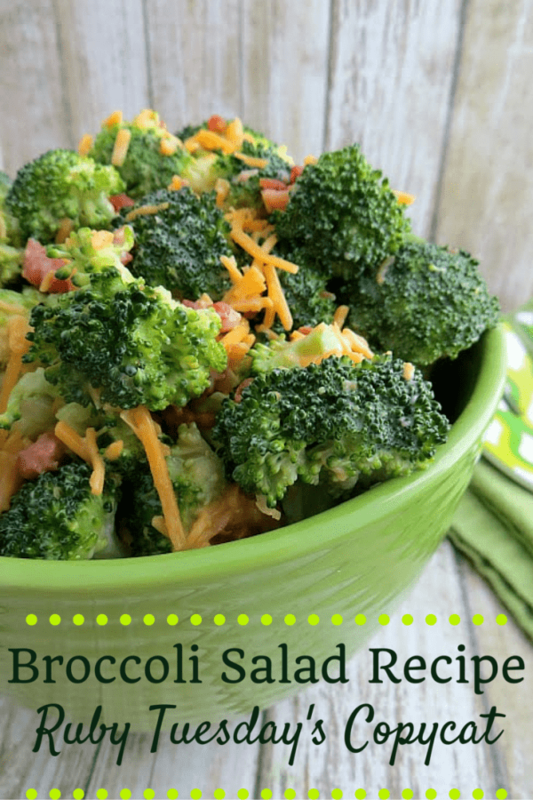 If you’re looking to add a good broccoli salad recipe to your collection, give this one a try. It’s a copycat version of a Ruby Tuesday’s favorite. 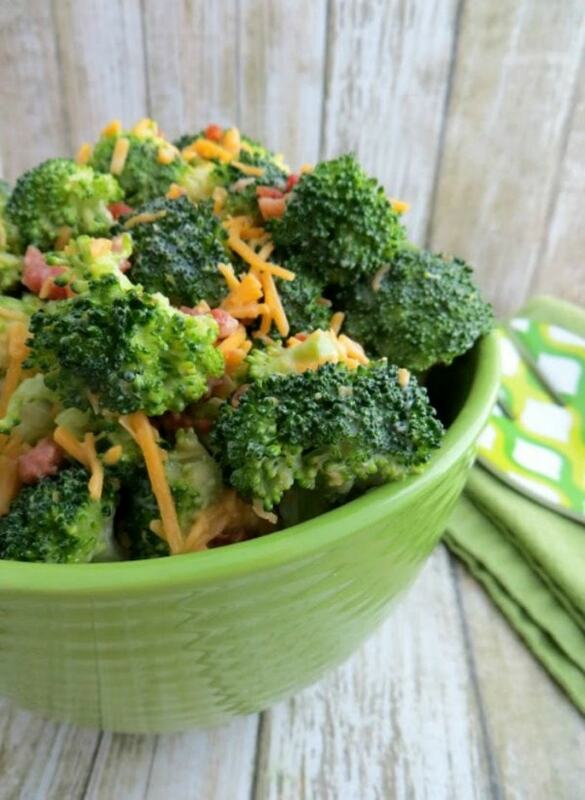 Broccoli salad is a tasty way to get those veggies into your family without a fight. This recipe is packed with sweet and salty flavors to make everyone a broccoli lover. 😉 This post contains affiliate links. This recipe only takes about 10 minutes to whip up. Serve it at BBQ’s, gatherings, or for a family meal night. It’s a dish that will be a treat for any occasion. It can even be eaten as a meal in itself. Impress your guests with a version of their restaurant favorite. 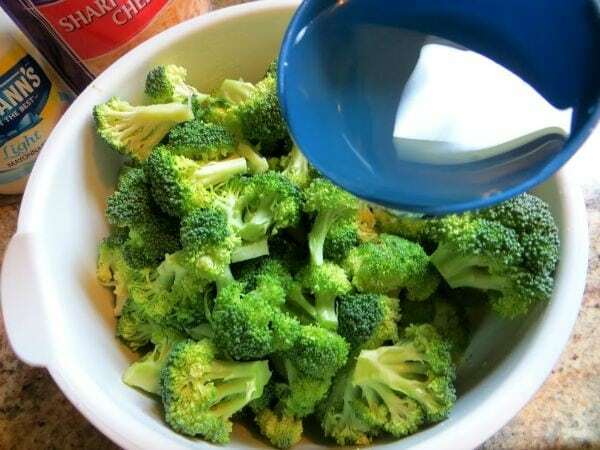 Place chopped broccoli in a large bowl. Dissolve the sugar in hot water and pour over the chopped broccoli. 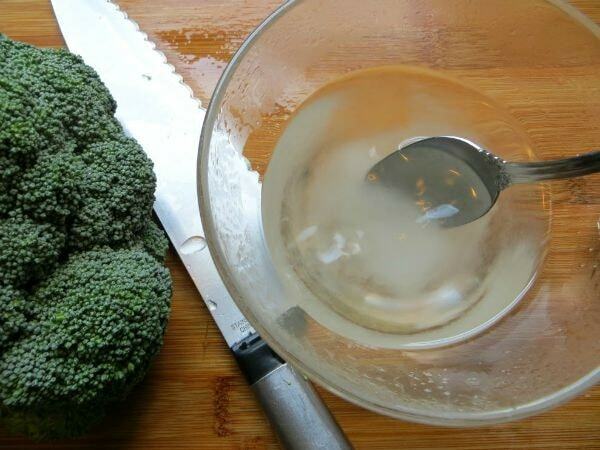 Add remaining ingredients into the bowl of broccoli and toss until all broccoli florets are coated well. Cover bowl and place in the fridge until ready to serve. Best if refrigerated for at least 2 hours. Easy enough, right? This broccoli salad recipe is just my speed. Not a ton of ingredients, and not too many steps at all. I will make this quite a bit in the future. It’s perfect to bring to events all year round. I can see even bringing this as a side dish for the holidays. Another BBQ side dish favorite is this pea salad. And don’t forget tasty frozen treats for dessert! Do you have a broccoli salad recipe that you like? I have never had the Ruby Tuesday’s Broccoli salad, but I will now. It would make a very colorful dish for the holidays. Looks wonderful I can’t wait to get fresh broccoli from my garden. 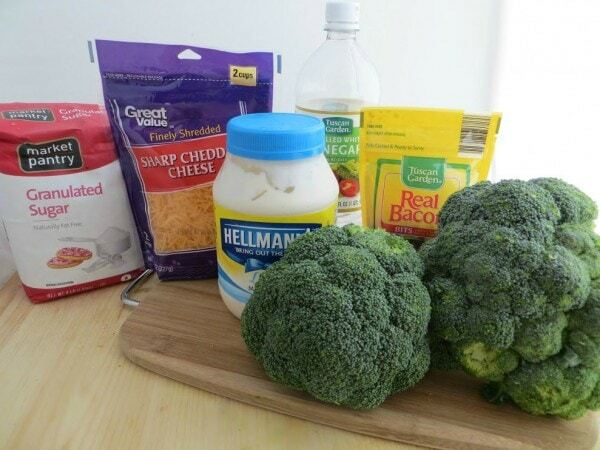 I love this broccoli salad, thanks for sharing! 🙂 Pinning! I love copycat recipes, especially when they are some of my favorite dishes! Yum! My mouth is watering already!! Thanks for sharing. Saying ‘Hi’ from This Is How We Roll! I love vegetable salads! I make broccoli salad all the time. I also make pea salad. Yumm! I have never had a broccoli salad before. This certainly looks delicious, I have definitely got to give it a try. Thank you for sharing this recipe. This looks like a great addition to summer meals! Thanks for linking up with What’s Cookin’ Wednesday! This looks like such a great side, I cannot wait to make it. I haven’t been to Ruby Tuesdays, but I would like to go. This is a delicious and healthy salad that I would love to make for my family. It is easy to make and thanks for sharing the recipe! Love how easy this is to make. I will be giving this a try. I’ve never had this in restaurant’s since I eat mostly at home, but it’s a great dish to take for a gathering. I’m not much for sugar in my veggies so I’d have to see if decreasing that would still make it taste great.